Kansas forward Silvio De Sousa watches from the bench during the second half, Saturday, Feb. 2, 2019 at Allen Fieldhouse. As part of its announcement on Friday, the NCAA for the first time publicly described the individual who paid the guardian of De Sousa — known to be T.J. Gassnola, a former employee of Adidas now convicted of federal fraud charges — as a booster of the Kansas Athletics program. The NCAA widely publicizes what boosters can and cannot do as it relates to recruits and their families. Gassnola has admitted to paying De Sousa’s guardian, but also testified that he never made KU coaches aware of the payment. With the classification of Gassnola as a booster, NCAA regulations raise questions about whether a violation occurred, regardless of whether KU coaches knew of any payments. The regulations regarding boosters call into question whether Kansas coaches acted improperly by asking Gassnola to reach out to De Sousa’s guardian at a time when KU was actively recruiting De Sousa. As part of a federal trial in October — which involved two other Adidas representatives with connections to the KU basketball program — the jury heard testimony that KU assistant basketball coach Kurtis Townsend directly asked Gassnola to reach out to the guardian of De Sousa while KU was attempting to recruit De Sousa. 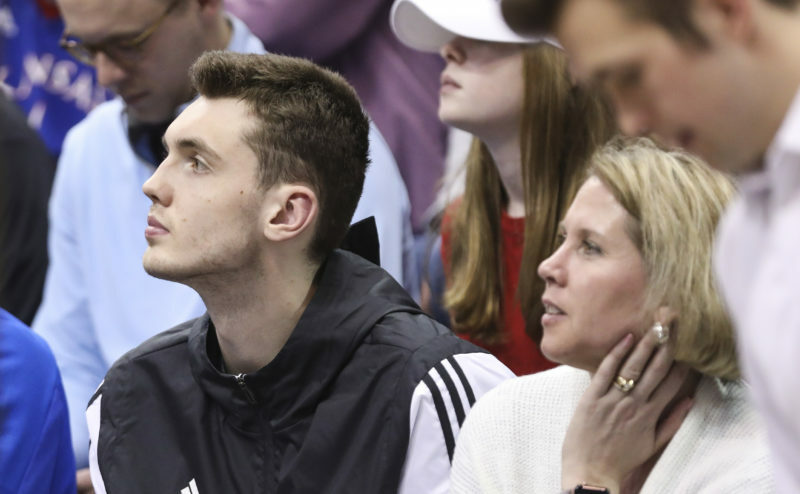 The jury also saw text messages involving both Townsend and head coach Bill Self seeking details from Gassnola about the conversations he had with De Sousa’s guardian. According to a fact sheet that the NCAA publishes regarding booster activity, such contact is not permissible by a booster. If it is determined that KU coaches were asking a booster to make such contact, or were seeking details from such contacts, that likely will capture the attention of NCAA investigators. Jo Potuto, a University of Nebraska College of Law professor and former chair of the NCAA committee on infractions, doesn’t know specifics of what NCAA officials are investigating regarding KU. But she told the Journal-World via email that the NCAA language makes it clear that further action could be coming. Friday’s announcement regarding De Sousa’s eligibility was a narrow one that focused only on the question of whether De Sousa can play in games, she said. An investigation into the activity of a booster is a separate matter that could produce findings that go beyond a single player, possibly having an effect on the entire athletic department, she said. At play is whether KU could be found to have lacked “institutional control.” That is one of the most serious violations the NCAA can levy against a program. Penalties can include forfeiture of games, a ban on postseason play and reduction in available scholarships. 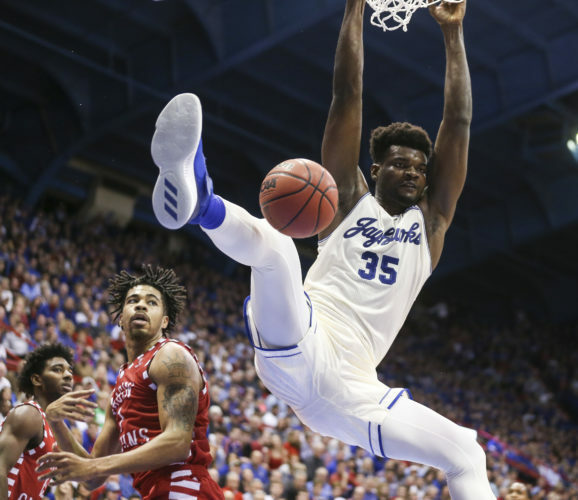 A forfeiture of games could require KU to wipe from its record books last year’s Final Four appearance and its record-setting 14th consecutive conference championship. A postseason ban would end its NCAA best streak of 29 consecutive appearances in the NCAA tournament. Potuto pointed to recent action by the NCAA against the University of Missouri, which was found to have a tutor who was improperly helping student-athletes with academic work. Despite the seriousness of that finding, Missouri was not found to have lacked institutional control. 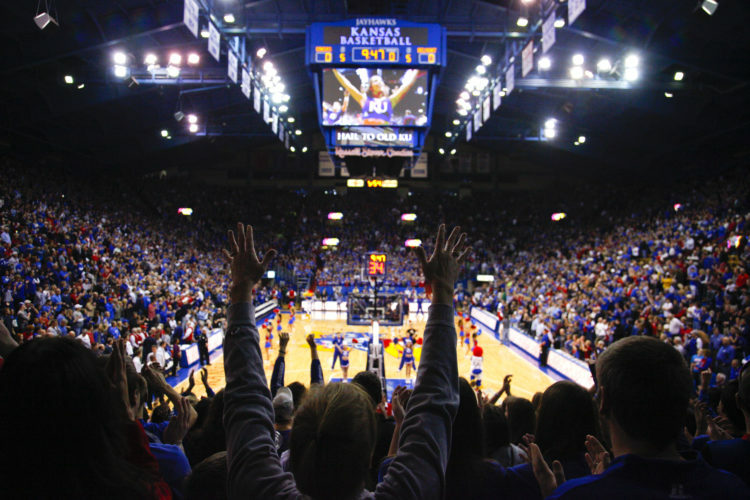 However, that case may not provide much solace to KU fans because it also serves as a reminder that even when the NCAA doesn’t make a finding of a lack of institutional control, it can still levy significant penalties. The NCAA ordered a postseason ban for its football, baseball and softball programs, a vacation of wins for all three programs and reduction in scholarships available for all three programs. Missouri is appealing the ruling. 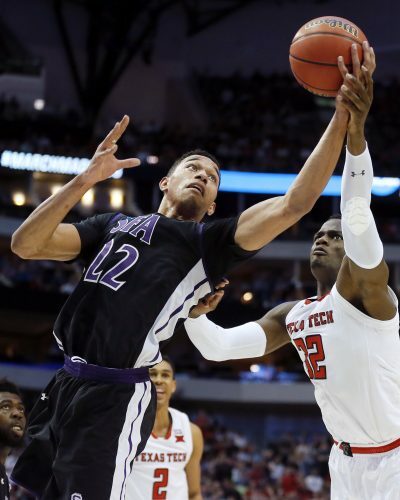 The Journal-World on Friday evening asked a Kansas Athletics spokesman whether the department was concerned it would face additional penalties and sanctions given some of the findings the NCAA has made thus far in the De Sousa case. “We are not going to have any comment until this process is complete,” KU Athletics spokesman Jim Marchiony said. Just prior to tipoff of Saturday’s game, Athletic Director Jeff Long said at a press conference that KU acknowledged to the NCAA that Gassnola was a booster and agent of the school, but he emphasized that KU did so only as a “hypothetical” to aid in the process of getting De Sousa eligible to play again. 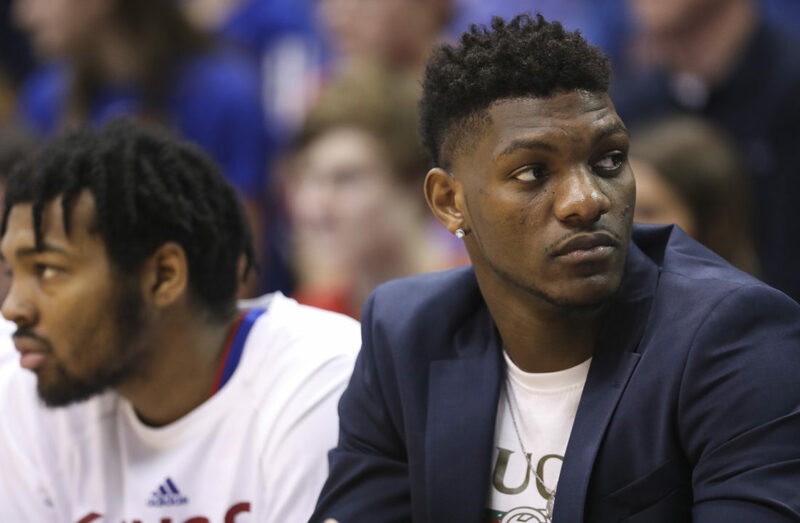 Long said KU was told by the NCAA that if KU did not make the acknowledgement, the NCAA would not rule on De Sousa’s eligibility until it had completed its “enforcement investigation,” which likely will not be done until after the season is over. “As we disagree with the NCAA staff on how to define Gassnola’s role in all of this, the NCAA told us they would not consider reinstatement unless we included that information,” Long said. The NCAA defines a booster in a number of ways, including a person who has “participated in or has been a member of an organization promoting the university’s athletics programs,” according to its guidebook. The NCAA has ruled that Gassnola was an employee of Adidas, which has a multimillion-dollar agreement with KU Athletics. • Gassnola testified under oath that Townsend asked him to contact De Sousa’s guardian, Fenny Falmagne. Gassnola testified that Townsend wanted Gassnola to connect Falmagne to Adidas so that Adidas could get gear for the Angolan National Team. 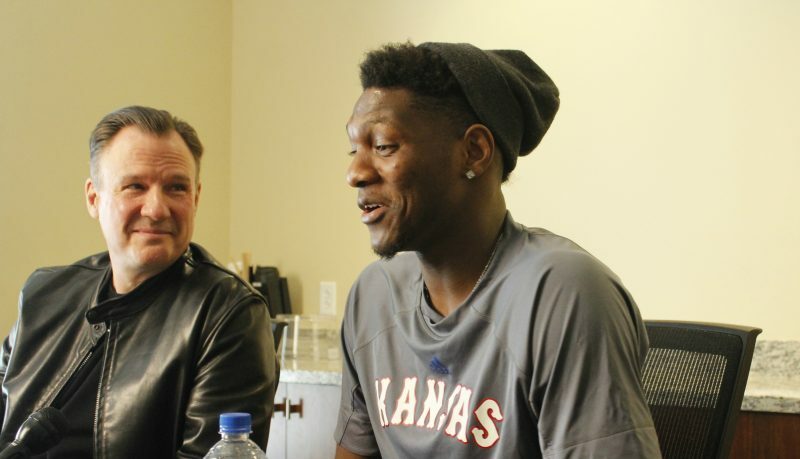 Townsend’s request of Gassnola came during the time period that KU was recruiting De Sousa. KU has not clarified the specifics of Townsend’s request or provided other information about it. The NCAA guidebook on booster activity raises several questions about that exchange. According to the guidebook, boosters are not allowed to give anything of material value to a recruit or the recruit’s family or guardian. As such, a coach would not be allowed to ask a booster to take any such action. Gassnola later that day sent a text alerting Self that Gassnola had talked with De Sousa’s guardian. Self responded to that text by asking, “We good?” Gassnola responded by saying, “Always. That’s [sic] was light work. Ball is in his court now.” Later that day, Gassnola and Self had a phone conversation. Gassnola testified that he could not recall what was discussed on that phone call. KU fans have pointed out that none of that exchange proves that Self knew of any payments that Gassnola made to De Sousa’s guardian. Gassnola also has testified that he never made Self aware of the payment that he made to De Sousa’s guardian. However, now that it is known that Gassnola is classified as a booster of KU, the NCAA guidebook raises questions about whether a violation occurred, regardless of whether KU coaches knew of any payments. The NCAA has strict limits on who can participate in recruiting activities, and boosters certainly cannot. As such, a coach who knew of such contact between a booster and a recruit potentially would have committed a violation by failing to report such contact between a booster and a recruit. Self, following the trial’s conclusion in October, issued a statement defending the actions of his staff. “When recruiting prospective student athletes, my staff and I have not and do not offer improper inducements to them or their families to influence their college decisions nor are we aware of any third-party involvement to do so,” Self said. It is not known what, if any, other text messages Gassnola and Self shared during the recruitment of De Sousa or other players. The Journal-World filed a request under the Kansas Open Records Act seeking all text messages between Self and Gassnola during the time period in question. — Journal-World reporters Dylan Lysen, Benton Smith and Matt Tait contributed to this report.